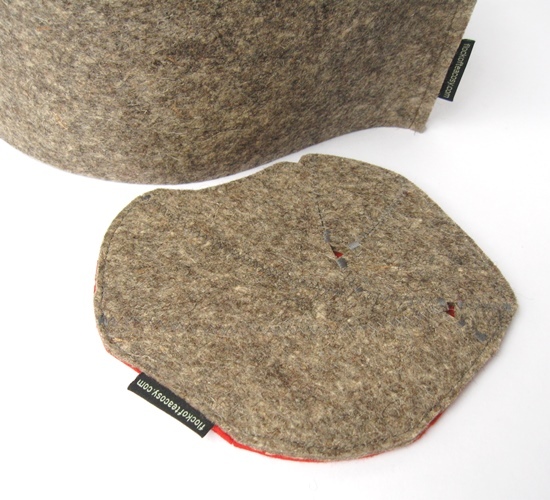 This is the flock’s classic modern curved profile with its centre dart closed with zig-zag ‘baseball’ stitching. 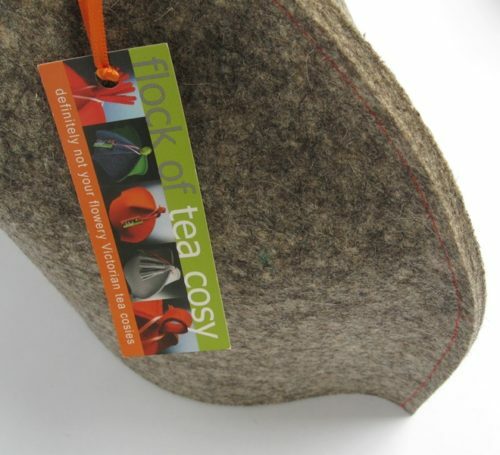 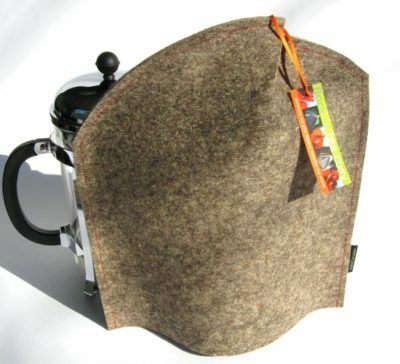 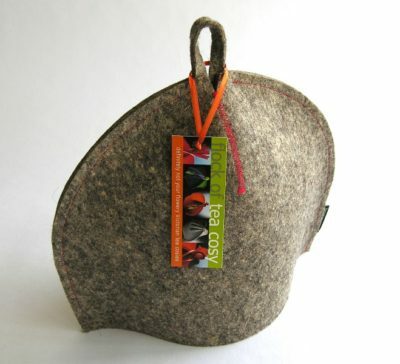 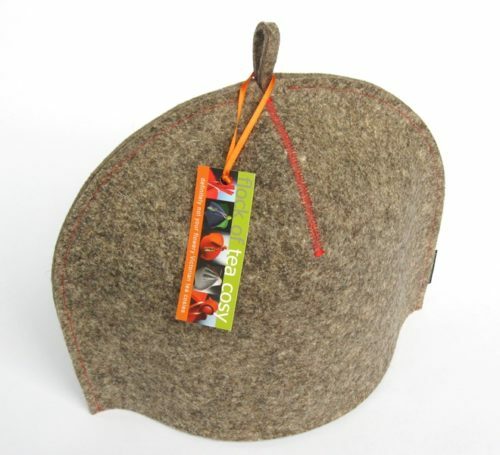 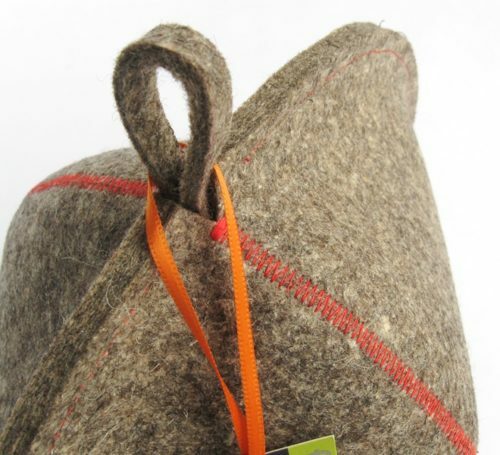 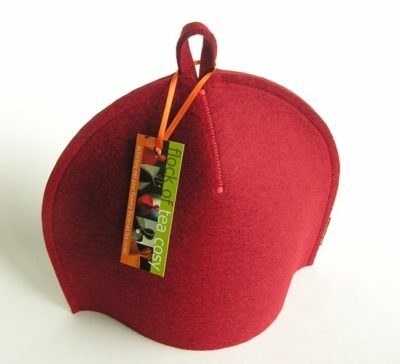 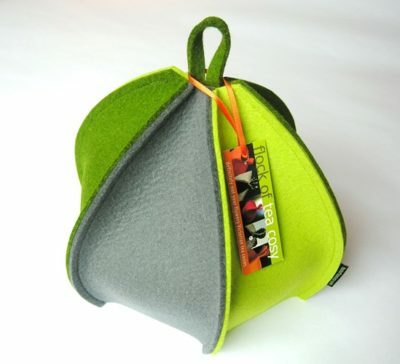 It is made from thick (3+mm), 90% wool industrial felt in its natural baa-baa colours, and topped with a handy hang-tab. 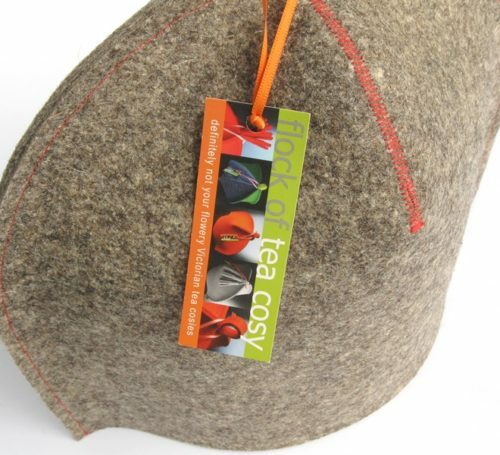 It’s just a little thicker than the coloured European felt, and firmer — so the cosy has a very solid, architectural presence. FYI the industrial felt has been very popular with architects and designers.